Yvonne Ranney was born in Marin County, California, on June 4, 1932. Yvonne was an artist and entrepreneur who prided herself on a solid work ethic. Her father, an interior decorator and part-time chicken farmer, was a big influence in her life and probably contributed to this. We loved her stories about her father and her life growing up in Marin County. In her professional life, she was a successful draftsperson, the first woman so employed by Texaco Oil in San Francisco in the 1950’s and 1960’s. Some of us remember her as a fiery spirit, some as a light spirit, but we all agree that once she set her mind to do something, nothing would get in her way. She loved people in the same way, always speaking her mind. She almost always had a bright smile on her face, even when she was hurting. Her laughter inspired ease and happiness, her voice was sweet and comforting, especially when she was speaking uncomfortable truths. She was an active and essential member in the AA community, and helped so many through their darkest moments, while asking little for herself. She was a courageous woman, dealing with prior health issues for many years but still willing to listen to others and make helpful suggestions. She loved being sober and said it often, never shy about saying I love you either. Yvonne had one daughter, Geri, who passed away a few years ago from brain cancer. Although absent from Geri’s life for a lot of years, Yvonne made up for lost time by being Geri’s full time caretaker in her last days. Yvonne led a happy life, and loved to share about it. During her last few weeks, Yvonne was well aware of her declining health and once said she that “dying would probably be kind of exciting.” She was good with God, and knew he was ready to accept her. 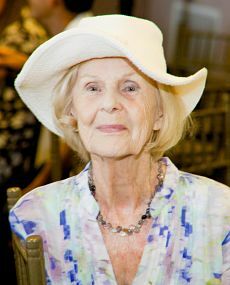 Yvonne passed away peacefully at 4:30 p.m., March 1, 2016, at the Serenity House located in Santa Barbara. She is now with her daughter, Geri. A memorial service will be held at the Alano Club of Santa Barbara (Cota and Garden) on March 19, 2016, at 2PM. In lieu of flowers, please consider making a donation to the Alano Club in her name. It would be going to help people get and stay sober in hopes of having a happy life too. This is all Yvonne ever wanted for herself and others.